Glenn Jones of Glennz Tees designed this very funny t-shirt entitled, "Awkward." 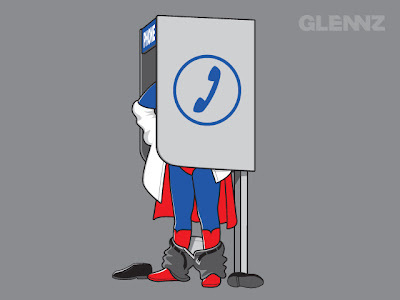 I'm just impressed Superman could find a phone booth. They're as rare as rotary phones. Head over to Glenn's site to see many more unique and funny designs. "I'm just impressed Superman could fine a phone booth. Their as rare as rotary phones."